One of the reasons why we love Japanese studio nendo is because of their ability to breathe new life into forgotten everyday objects. The prolific designers recently unveiled their re-imagined sticky notes, turning the two-dimensional office stationary into a playful cube. 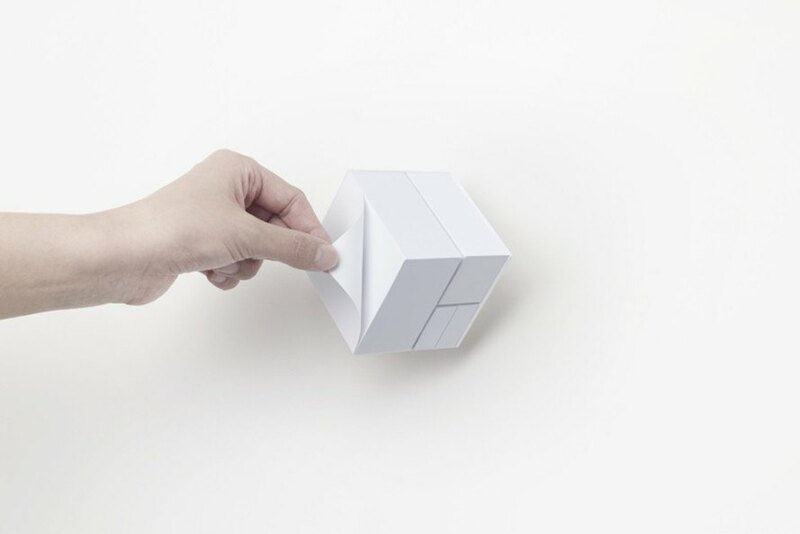 Titled the Block Memo, the paper cube comprises three different shapes of sticky notes. One corner of the cube is cut off to allow the sculptural object to balance on itself. The Block Memo will be sold for 2,500 JPY. One of the reasons why we love Japanese studio nendo is because of their ability to breathe new life into often forgotten everyday objects. The prolific designers recently unveiled their re-imagined sticky notes, turning the two-dimensional office supply into a playful cube. Titled the Block Memo, the paper cube comprises three different shapes of sticky notes. One corner of the cube is cut off to allow the object to balance on itself. The Block Memo is available online for 2,500 JPY.